Our essential Dorm Bedrest Textured Comfort pillow in Glacier Gray is a must-have bedding accessory for comfortable lounging and studying in your college dorm room! 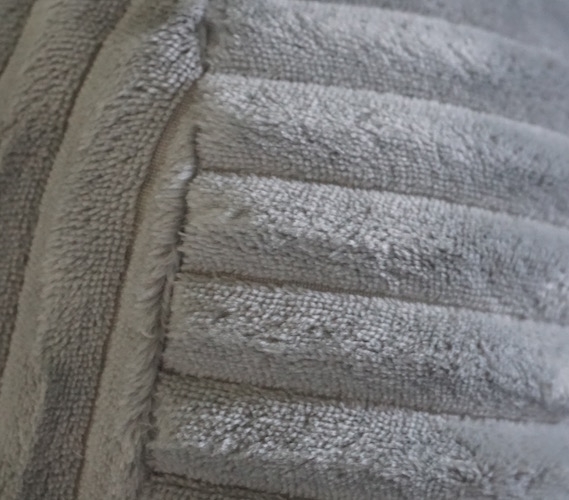 Our gorgeous college Dorm Bedrest pillow is incredibly soft to the touch with a plush textured ribbing for your ultimate comfort. Our full-sized Dorm Bedrest is 15" tall, 8" deep, 15" width between arms, and 28" long including the length of arms and stuffed to its maximum capacity guaranteeing you'll never have any gaps in filling in the arm rests for total support. 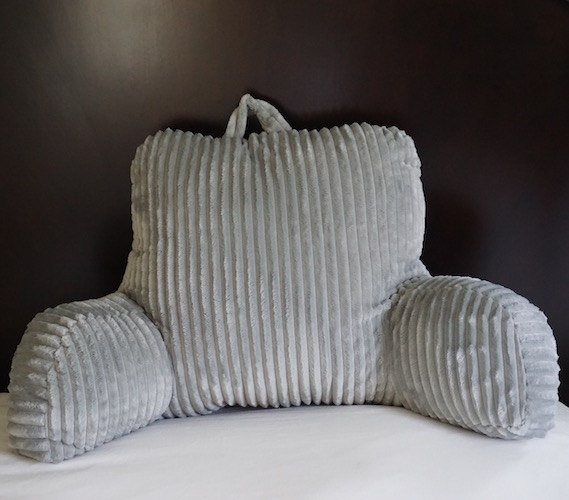 Use our college Dorm Bedrest pillow for comfortable lounging and binging TV shows and movies (no more bunching you pillows and ruining their structure to watch TV or use your computer!) and for those long study sessions in your college dorm! Finally, no need to walk all the way to the library and sit in an uncomfortable chair and struggle to focus when people are talking around you -- you can study in the peace and quiet of your dorm room and have the back support required to comfortably study. 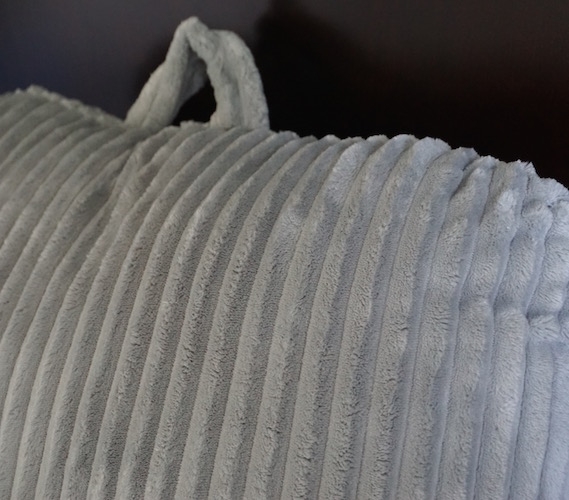 Our plush Dorm Bedrest Textured Comfort pillow in Glacier Gray has a light and subtle gray that will blend into any dorm decor style without clashing and is a great accent piece when not in use. Turn your XL Twin bed into your favorite lounge and study spot with our Dorm Bedrest Textured Comfort supportive pillow!